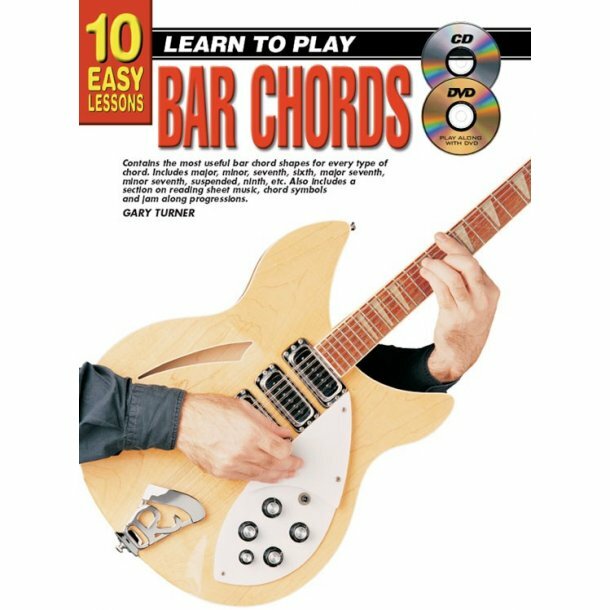 *NOT AVAILABLE TO UK TRADE CUSTOMERS* 10 Easy Lessons: Learn To Play Bar Chords contains the most useful bar chord shapes for every type of chord. Includes major, minor, seventh, sixth, major seventh, minor seventh, suspended, ninth, etc. Also includes a section on reading sheet music, chord symbols and jam along progressions.